As the manufacturer of the world’s best-selling electric car, Nissan understandably didn’t try to reinvent the wheel when it launched the second-generation Leaf hatchback in early 2018. Compared with the pioneering 2011 original, the new car brought improvements in range, performance, practicality, interior quality and driving manners, and although it didn’t really move the game on in relation to existing rivals such as the Volkswagen e-Golf and the smaller Renault Zoe, it was well rounded enough for us to name it our 2018 Electric Car of the Year. 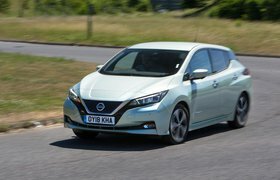 The questions remained, though: did Nissan push the boat out far enough with the Mk2 Leaf, when faced with an impending flood of new rivals over the next few years, and was the Leaf’s range sufficient to make it viable for everyday use – not just as a short-haul urban runabout but for longer trips as well? 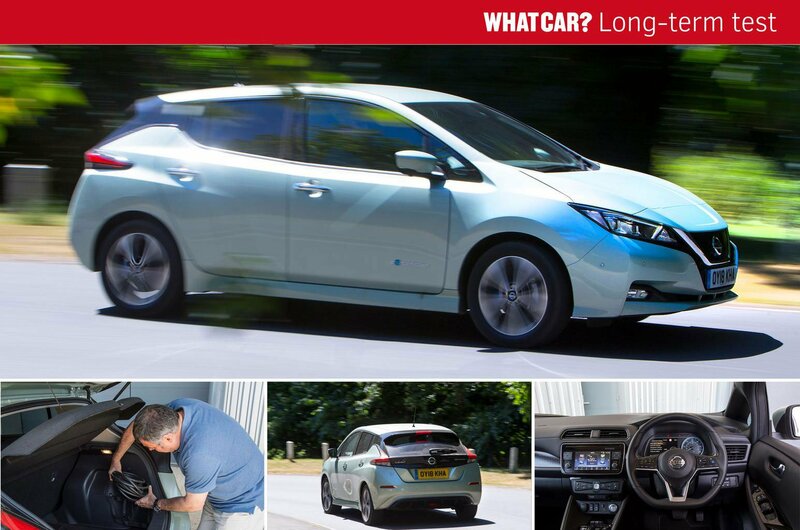 Those were some of the answers we were seeking in opting to run a top-spec Leaf Tekna for six months. Let’s deal with the range first. During the summer months, I found I could cover about 140 miles between charges on average, or up to 160 if all of the miles were around town, driving at the same speeds as I would in any car – in other words, not making any specific effort to eke out as many miles as possible per charge. That was enough for my needs, including some longer trips of 200 miles or more, although such journeys still required some advanced planning and at least one half-hour stop for a partial top-up at one of the numerous rapid chargers that can now be found at motorway services. And as is the case with most EVs, the range dropped by a good 40 miles when the weather turned colder, leaving the Leaf able to cover only about 100 miles between charges. 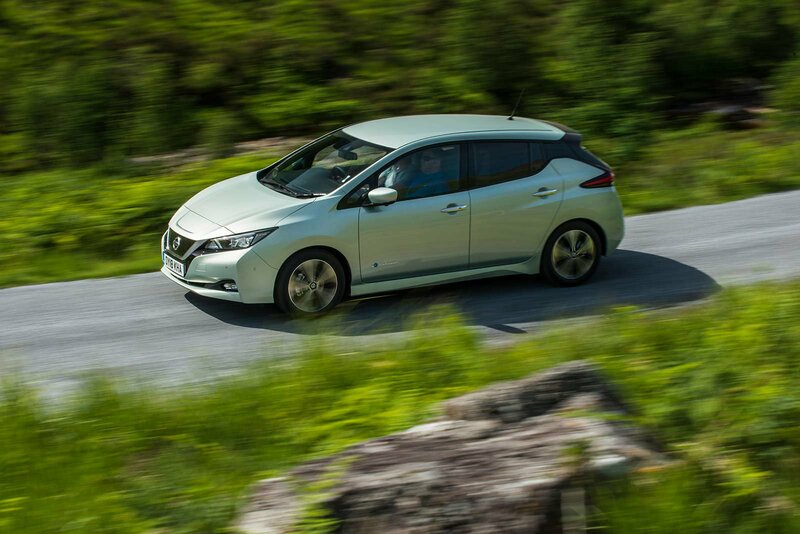 In general, the Leaf was a pleasure to drive, thanks to its absorbent ride, the smoothness and responsiveness of its electric motor and exceptionally low noise levels. 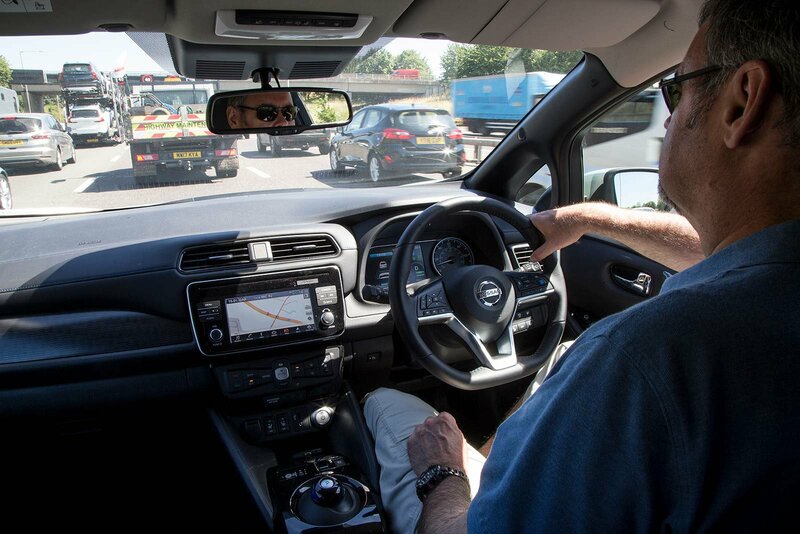 The ability to drive it using just the accelerator, thanks to the strong regenerative braking effect of what Nissan calls an e-Pedal, was a boon in urban driving, while the fact that you could turn it off completely was welcome for parking and on the motorway. Using the regular braking system was something to be avoided as much as possible, though, because the pedal felt spongy and often resulted in very abrupt stops. The interior is roomy and there’s lots of useful storage space, but it’s not what you’d call classy, and I struggled with the driving position, mainly due to a lack of steering wheel reach adjustment. A bigger, clearer, more responsive infotainment touchscreen and a more configurable, fully digital instrument panel wouldn’t have gone amiss, either. There were a few rattles to contend with, too, notably from the seatbelt buckles tapping against the hard plastic trim on the door pillars. While it’s great that the Leaf comes with heaps of driver aids, I found some of them quite intrusive – notably the automatic emergency braking, which tended to activate too often, reacting to parked cars and even the barriers in our car park. The overly sensitive front and rear parking sensors were irritating, too. However, the adaptive cruise control proved effective on the motorway and the blindspot monitors came in handy all the time. Since these items are also available on the mid-range N-Connecta trim, that’s the one I’d go for next time; I wouldn’t miss luxuries such as the advanced but rather time-consuming ProPilot Park self-parking system that’s exclusive to the Tekna version. As a huge fan of electric cars, I’ve very much enjoyed running around in the Leaf every day, despite its flaws. 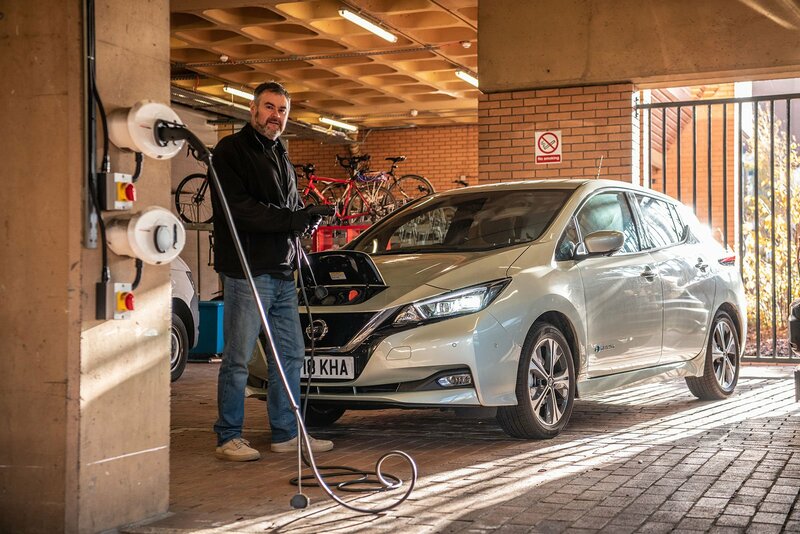 And compared with hatchback rivals that are on sale right now, the Leaf remains competitive, thanks to its low running costs (just 4.8 pence per mile in electricity), practicality and comfortable ride, and is a good choice for mainly urban use. However, it isn’t a game-changer. That accolade must go instead to the Hyundai Kona Electric and Kia e-Niro family SUVs, which aren’t much more expensive to buy than the Leaf yet come with whopping 64kWh battery packs (compared with 40kWh in the Leaf) and real-world ranges of more than 250 miles – we've proved as much with our Real Range tests. It’s a shame Nissan wasn’t more ambitious this time around, because it has allowed Hyundai-Kia to be the first to give us the lengthy, truly liberating range of expensive EVs such as Teslas in much more affordable packages – exactly what we’ve all been waiting for. The Leaf, despite being just a year old, already seems a little old hat.